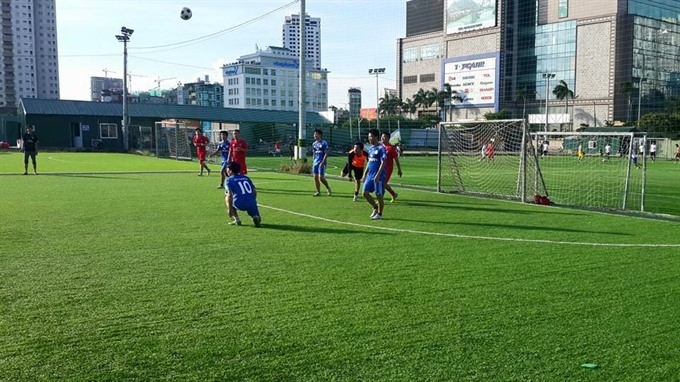 HÀ NỘI — A charity football tournament is scheduled to kick off at the Hà Nội Sports Training Centre today. Four teams taking part in the event are include of Việt Nam Football Federation (VFF), Việt Anh actor, Tuấn Hưng singer and staff from the German Embassy. The event hopes to raise VNĐ150million (US$6,520) to send 67 orphaned children to a summer camp.